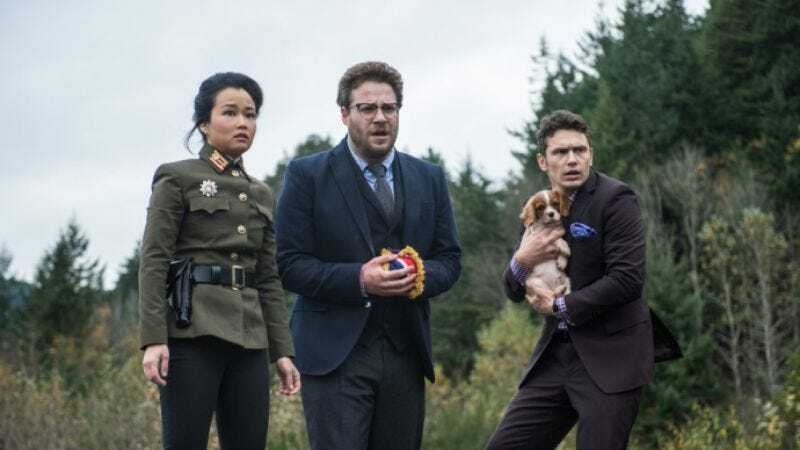 The infiltration and hack of Sony’s servers last year ignited a firestorm over inappropriate studio executive comments, dumb ideas for movies, and almost spared us from having to see The Interview. The hackers also issued threats to movie theaters as well as leaking emails, social security numbers, and the private medical records of Sony employees and their families. The breach was so damaging that it led to the ouster of Sony Pictures Entertainment co-chair Amy Pascal. Now, Variety reports, Sony is going to pony up to the plaintiffs in a class-action lawsuit that made the same argument that Forbes did: namely that it was dumb Sony’s own fault for not protecting its digital security. The lawyers for the plaintiffs filed a statement, confirming, “On September 1, 2015, plaintiffs and SPE reached an agreement in principle to settle all of the claims of the putative class against SPE.” The settlement means that the former employees will not be moving ahead with a trial against Sony, which was scheduled to begin on February 9, 2016. The persons in the class include nine ex-employees of Sony Pictures Entertainment, who alleged that through inadequate protection, their former employer left them vulnerable to future attacks, including identity and financial theft, because private information remains available online to anybody with an internet connection. It would have presumably also leave their Playstation Home avatars at risk of being co-opted, had that service not mercifully been discontinued. Despite Sony challenging allegations of injury, U.S. District Judge Gary Klausner ruled that the case could proceed. “These allegations alone are sufficient to establish a credible threat of real and immediate harm, or certainly impending injury.” Specifically, Klausner pointed to the fact that since the attack, their information was used to send threatening emails to the plaintiffs. Fortunately for Sony, it has the option of using some of that sweet, sweet Spider-Man money to pay for the settlement, if it so chooses.